I live that nightmare every time I have a paper due in a class. Oh, college, how you kill me. Today I learned that I am a poet of Baudelaire at sorts: welcoming the night all anxiety and will to succeed with the exception of having zero artistic or poetic art, soul and integrity. Can’t have it all I guess. Either you produce majestical works of art or rewatch that season two episode three of House. I sometimes think I use WordPress to put off other things I might be writing. 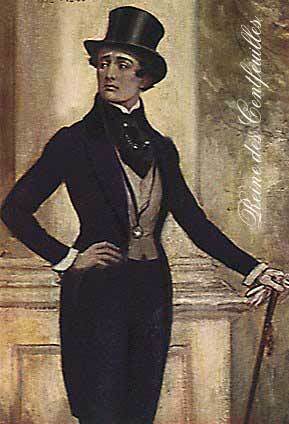 Just like the poet, the dandy has a goal, and work to do. So why does the poet face such anxiety, and the dandy none? It is heartening to know that a figure like Baudelaire also felt these same anxieties and doubts when it came to writing. I have been much fascinated with the figure of the dandy, but never realised until now how must it feel to cultivate oneself as both a consumer of art and a work of art. Living purely for the pleasure of art may seem trivial but it carries the work ethic of a collector. Hello. So, for me to overcome procrastination I have to become a ‘dandy’? Makes. No. Sense. Excellent! This is my first reblog, and quite deserving. A must read for those familiar with the poets works. Excellent!! My first reblog and quite deserving. Interesting post on art history and expansive thought on Baudelaire. Wonderful blog entry: well written and researched… I look forward to exploring the rest of your blog!